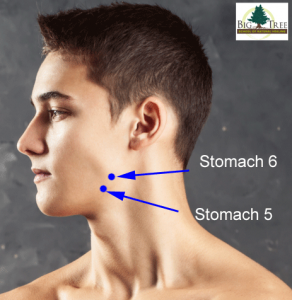 Stomach 5 and Stomach 6 are used to relieve jaw tension. 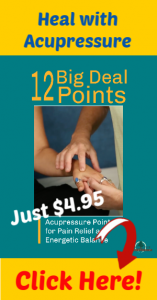 These two acupressure points are very close together. 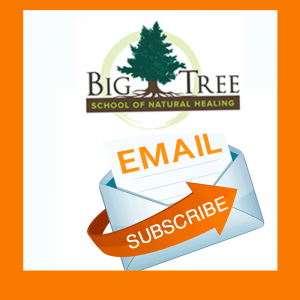 Differentiating Stomach 5 from Stomach 6 is simple once you understand a few details. Stomach 6 (ST 6) is located in the muscle belly of the masseter muscle (this is one of the powerful muscles used to close the jaw). Stomach 5 (ST 5) is not located on this muscle. First, locate the angle of the jaw. ST 6 is right there, at the angle of jaw. Feel for the “mushy” tissue of the muscle beneath your fingers – that is the masseter muscle. ST 6 is in the muscle tissue, at the angle of the jaw. First, locate the masseter muscle at the angle of the jaw. Roll your pressure towards the chin, feeling for the edge of the masseter muscle. ST 5 is located on the jaw bone (mandible), not on the masseter muscle. 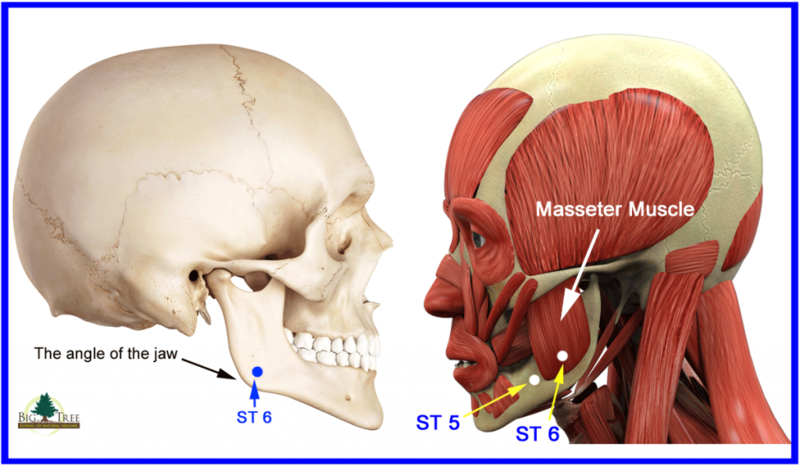 Once you drop off of the edge of the masseter muscle, you are on ST 5. 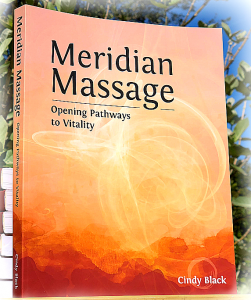 ST 5 and ST 6, like all acupressure points, are located on both sides of the body. Notice in the image above that these points are shown on both sides of the jaw. Be sure to practice locating ST 5 and ST 6 on each side of the jaw. Apply your pressure gently as these points are frequently tender. Use Stomach 5 and Stomach 6 to relieve jaw tension. The masseter muscle is often tense and tight on people who clench their jaw or grind their teeth. Gentle massage to these acupressure points can help relieve the tension in the masseter muscles. Relaxing the masseter muscles can help relieve jaw pain.